City Tourism: Is the Beaten Path a Thing of the Past? As we get close to TBEX Europe 2015 and the coastal scenery of Lloret de Mar in Catalonia, Spain, it seems like a perfect time to think about what makes an authentic experience in the case of city tourism. How does technology affect the way travelers visit places and how do cities respond to this technological revolution? What does the transition from the Internet of Things to the Internet of Everything really mean and in what way sharing economy redefines the traditional tourism distribution model? The more contemporary travelers tend to enjoy the wealth of options provided by urban centers, the more the discovery of unknown parts of a city does not entail that travelers risk missing places that are genuinely great. Under the influence of the powerful interplay between the physical and the digital world, travelers tend to think more of the things they want to do (and feel) than the places they want to go. In each city, a balance is necessary between the overwhelming variety of available options and the digital solutions which the tourism sector and competent authorities can afford to implement. Crucially, real-time experiences will determine to what extent a city destination has become SMARTer than its competitors without sacrificing the unique values and attractions to which it owes its fame. In a world where travelers have so much information at their fingertips, destinations may need to make their product more personal and easy to use, so that visitors take to it naturally wherever they ‘re from. However, in times of uncertainty, the physical-digital integration can provide fertile ground for tourism businesses and the public sector to pursue innovation and develop new skills and services. Want to gain some more insight into destination experiences? Save the date! Friday, 1st of May, don’t miss Manolis Psarros presentation on city tourism. 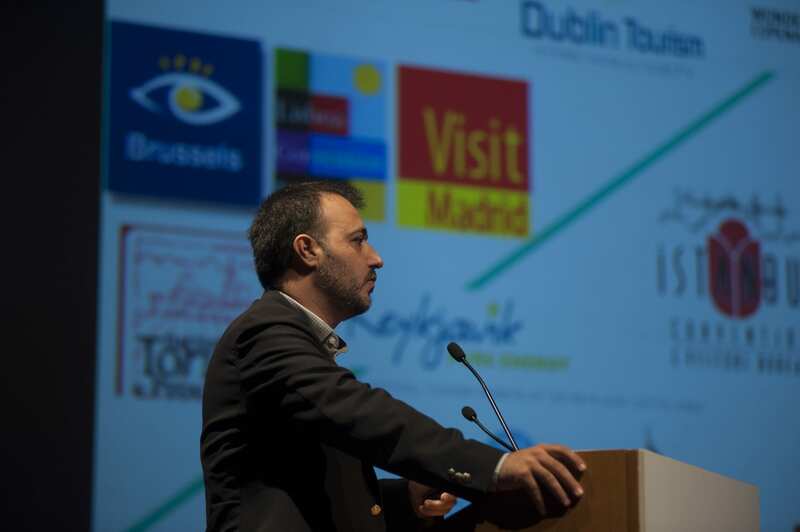 Author Bio: Manolis is a tourism destination management and marketing consultant whose experience mainly focuses on tourism boards and DMOs strategic planning & operations support, place marketing strategies & campaign management, product development, digital tourism strategies and EU-funded tourism-related programs. He has been directly involved in shaping the first DMO (City of Athens CVB) in Greece, which he served as a Tourism Development Director. He is the founder and Managing Director of TOPOSOPHY, an international destination management & marketing consultancy. His international experience includes programs and consultancies in Greece, Italy, Portugal, France, Finland, Denmark, Slovenia, Russia, Mexico, Armenia and Kenya among others.